Can Black Panther Finally Put An End To Whitewashing in Movies? One of the biggest milestones of 2018 has already occurred. February saw the release of Marvel’s latest superhero flick Black Panther. Marvel Studios is a subsidiary of Walt Disney Studios and has been responsible for producing some of the most popular superhero films of recent times. Films such as Iron Man, Spider-Man, and X-Men were all made by the studio. Its latest release, Black Panther, has heralded a huge change in the way that Hollywood does business. The film is the first big-budget Hollywood superhero film to feature almost exclusively black cast and not be set in the United States. This is a massive step for an industry that has always shied away from taking any risks. For years we have had to endure so-called ‘whitewashing’ of ethnic minorities in film. Whitewashing is when characters are replaced by white actors rather than using an actor from whatever ethnic minority they are meant to be portraying. One notable and equally ridiculous case of such whitewashing was the recent The Great Wall (2016), starring Matt Damon. Despite being a film depicting the defense of the Great Wall of China, Damon assumes the lead in a blatant attempt by the studio to beef up the film’s appeal international audiences. While it did succeed in drawing in large audiences, sadly it stands as a testament to money over artistry and in my view is a stain on legendary director Yimou Zhang’s career. Whitewashing has a long history in Hollywood. The whitewashing of African Americans began long before the invention of film. Blackface was used to allow white actors to assume the roles of blacks in theatre productions. These portrayals were often extremely bigoted and highly offensive. The use of blackface carried over to early film. It was used in The Birth of a Nation (1915) and later in The Jazz Singer (1927). Thankfully, by the 1940’s blackface had almost completely disappeared from mainstream film and is now universally considered offensive. The recent uproar caused by a production in China where the actors used blackface to depict Africans shows just how offensive global audiences now consider such practices. All other minorities have suffered such humiliations in one form or another too. Native Americans were particularly unfortunate. Laughable portrayals of Native Americans by white actors blight many of the best westerns ever made. It is from this context that we can understand why a film like Black Panther is such a breakthrough. It is impossible to understate the importance of positive role models for young people around the world. Positive role models not only give people dreams of what they can become but also make them proud of who they are as well. Despite the huge gains that minorities have achieved over past decades, onscreen, they have still had to take supporting roles to white actors and actresses in big budget movies. Iron Man is one such example, where despite Don Cheadle’s character also being in procession of an Iron Man suit, it is always left to Robert Downey Jr’s character to save the day. The same supporting role has also been forced on women over the years. Probably the most independent female superhero character, Catwoman, spent most of her days as a bit part character in the Batman films. It wasn’t until 2004 that she finally got to take the lead in the regrettably awful movie Catwoman. Finally, 2017’s smash hit movie WonderWoman proved that women can be just as big box office leads as men. 2018 would be the year in which a film lead by black actors would get to prove the same. Will Virtual Reality Kill The Movie? A film like Black Panther certainly doesn’t come along every day. As I have already discussed, big-budget movies are the last to take any chances. With budgets of upwards of $100 million in most cases, Hollywood blockbusters are almost too big to fail. For this reason, they pander to pre-established markets and viewer expectations. Whitewashing is one example of such a pre-established norm. Since global audiences are used to seeing white leads, they are much more likely to want to see a film with a white lead than any other ethnic minority other than their own. This means that studios stick to the bottom line and cast white actors in leading roles. Black Panther features an almost completely black cast. All the lead characters are black actors. 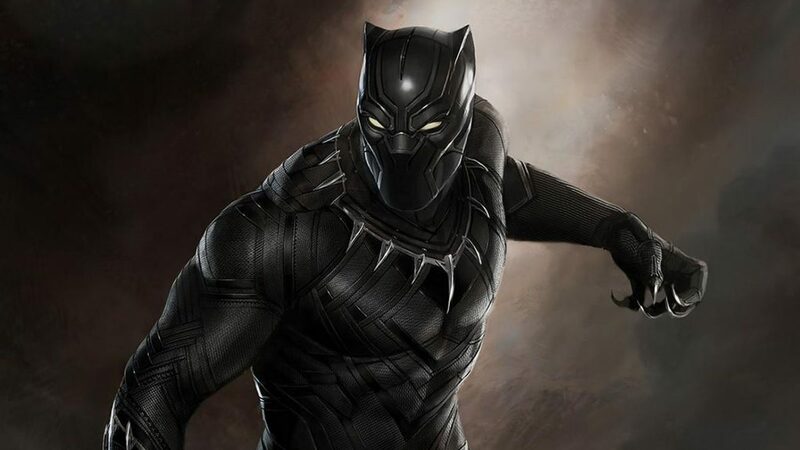 Though the Black Panther character had already made his screen debut in Avengers: Infinity War, this is the first film where he is the lead. The fact that Black Panther returns to his African homeland, which is where the film takes place, is also extremely important. 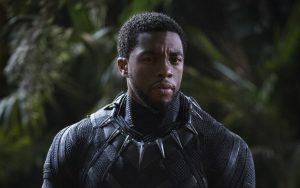 Only a short time after the President of the United States included several African countries in a remark that referred to them as “shitholes”, the futuristic Africa that is portrayed in Black Panther is of a technologically advanced civilization. This image is perhaps the most positive aspect of the film as it debunks idiotic stereotypes of Africa being a poor continent that has little in the way of culture to offer. While African Americans have successfully fought and gained much more positive representation within the United States, the continent of Africa is still shrouded in negative stereotypes. Trump’s statement is perhaps the most idiotic example of them. The fact that the majority of Americans still refer to Africa as a country is probably the best example of how little most people actually know about Africa. Amazingly, many African Americans also make this mistake too. This is why movies like Black Panther that portray a positive image of Africa are so important. Black Panther has not only showed Africans and black people around the world a positive image of Africa but it has also helped pour some light on Africa itself. Hopefully, this light will lead to people learning more about the rich cultures and diversity that Africa has to offer and will do away with these idiotic stereotypes that people like Trump seem to believe. For me, Black Panther marks the next step in a battle that began with the fight to end slavery and then went on to become the civil rights movement. Hopefully, positive representations of Africa will now pour out on to our screens and put an end to bigoted fools like Donald Trump. What’s New To Sofy.tv This Week? Is Film Set To One Day Merge With VR and Gaming?